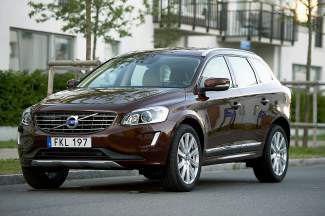 the Volvo XC60 is indeed a charming, functional and well-appointed SUV, as it has been since it emerged as an alternative to that too-large, earlier generation XC90. And the driving experience is fantastic, with a solid, effortless feel and handling thatâs certainly more in line with the similarly sized S60 sedan than a hulking crossover. Volvo has certainly had some interesting times this decade, as it was sold to the Chinese in 2010, after Ford opted to part ways. But the company hasn’t disappeared, unlike fellow Swedes Saab did — it’s simply consolidated its offerings into a relatively thin range of offerings, with many, many variations on six different platforms, and a slightly bewildering array of engine choices. The recent, futuristic re-launch of the popular XC90 SUV ought to help put the company back into many people’s minds, as will the recent announcement of a factory in beleaguered Charleston, South Carolina. Right in the middle of the pack, you’ll find the 60 series, which I had the chance to check out in its very attractive and comfortably sized XC60 SUV, as well as the ever-evolving S60 sedan. There’s also a V60 wagon, part of Volvo’s long legacy with that vehicle type, as well as the new Cross Country version of the wagon, to round out the pack. I still think that the XC60 is one of my favorites in the small-to-midsized SUV category, as its size and its mix of stylish elements have always seemed pretty ideal. Sure, even Korean SUVs are now as swoopy and cutting edge as the XC60 was when it first emerged, but the Volvo still remains ahead of the curve, and not as brutally intense as German imports of the same class. For 2015, the modifications include the options of a 2.0-liter four-cylinder or a 2.5-liter five-cylinder engine, both turbocharged and both rated for 240 horsepower; you can also opt for the 2.0-liter turbocharged and supercharged four cylinder, which more efficiently reaches 302 HP of output. Just to confuse things a little more, the T6 AWD model I drove came with a 3.0-liter turbocharged six, making 300 HP; it’s rated at not especially mind-blowing 20 combined MPG, so I can see how a move to a smaller-sized, equal-output, more fuel efficient engine makes sense, especially as the car still has 5,100 pounds of mass to move around. Regardless of what’s under the hood, XC60 is indeed a charming, functional and well-appointed SUV, as it has been since it emerged as an alternative to that too-large, earlier generation XC90. And the driving experience is fantastic, with a solid, effortless feel and handling that’s certainly more in line with the similarly sized S60 sedan than a hulking crossover. An unbelievably oversized wheel tilts and telescopes enough to make you feel like a 4-year-old in the coolest kid seat ever — the $500 upgrade to the sport seats offers you what I think are the most comfortable seats in the automotive world — does add to a strangely big yet small feeling on the inside. Overly dark rear glass, big side mirrors and — in the model I drove, an extremely effective flop-down pet/cargo gate atop the rear seats — can bring on a slightly claustrophobic feel. Interior details are both flawless and a bit peculiar at the same time, perhaps a tribute to the way Volvo has been doing things for decades. It’s the first completely synthetic instrument display I’ve experienced, with even the turn signals appearing on a digital screen. You get three choices of display mode, but I’d opt for the red sport mode, as it shows you a digital speedometer that’s necessary for keeping an eye on all those horses. XC60’s size makes it ideal for mid-sized missions, with 67.4 cubic feet of storage capacity once you drop the rear seats. Volvo is making a big deal about its connectivity package on all new models, the Sensus Connect and Volvo On Call system, which ties into your smartphone — my nine attempts to set it up, even as a temporary user, suggest that it will probably be a great way to stream Wi-Fi, your favorite music apps and even provide some remote starting and diagnostic access to the car, I just didn’t get it to do so.